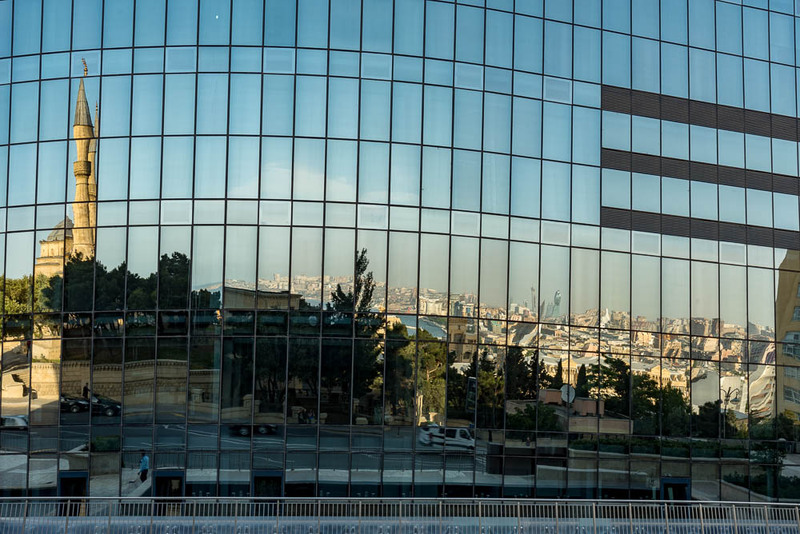 A reflex of Baku, Azerbaïjian. On July 4, the European Parliament approved the EU-Azerbaijan Comprehensive Agreement (passed by 564 votes to 69, with 47 abstentions) – a necessary step considering Azerbaijan is a member of the Eastern Partnership. The vote would have probably gone unnoticed had the Caucasian country not attracted so much European attention. Azerbaijan has several times threatened European institutions including the judicial and the banking ones. The members of the EP who are aware of this reminded Azerbaijan that no comprehensive agreement will be ratified with a country that does not respect fundamental EU values and rights. In fact, Baku has used huge funds to influence and manipulate institutions, on both a Europe-wide and national level in member states across the bloc. On a European level, the case of the Parliamentary Assembly of the Council of Europe is a matter of major concern. The case, known as ‘Caviar gate’, broke several years ago. In 2017, corruption watchdog Transparency International called on the EU to investigate “politicians, banks and business that helped to launder the reputation of Azerbaijan across Europe”. This became an official request after a 218-page report was released in April. It suggested that members of the Parliamentary Assembly of the Council of Europe (PACE) had acted contrary to its ethical standards (read also: https://www.europeaninterest.eu/article/azerbaijan-bribed-ex-council-europe-members/ (How Azerbaijan bribed ex-Council of Europe member). The scandal also reached the European Court of Human Rights, a Council of Europe body. Two of its former judges were accused of being part of the ‘pro-Baku lobby’. Azerbaijan’s lobbying efforts were directed in undermining reports on political prisoners in Azerbaijan and silence European government critics. Commenting on the situation in the country, Ambassador Arif Mammadov – one of Azerbaijan’s most vociferous critics of President Ilham Aliyev and a former ambassador of Azerbaijan to the COE – recently told European Interest that corruption has “rocketed to unimaginable levels”. “A proper judicial system has been totally destroyed… In a word, with the big influx of petrodollars after the completion of the Baku Tbilisi Ceyhan pipeline, the regime became more arrogant, dictatorial and aggressive,” he told https://www.europeaninterest.eu/article/amb-arif-mammadof-azerbaijan-brink-social-explosion/ (European Interest) on March 9. On EU level, Azerbaijan threatened the European banking system at least with the case of the Maltese Pilatus Bank. According to media reports, as well as the findings of an investigation conducted by the Organized Crime and Corruption Reporting Project (OCCRP), the bank was used by the ruling elite of Azerbaijan for money laundering and suspicious investments. It is also suspected that the ‘caviar gate’ was funded through Pilatus Bank. The scandal affected the PM’s family and the political establishment in Malta and threaten the Maltese democracy. On 16 October 2017, Daphne Caruana Galizia, the anti-corruption journalist who revealed the case, was murdered by unknown assailants who planted a bomb in her car. As a member of the Eastern Partnership, officially a country that aspires to become a member of EU, Azerbaijan disdains all EU efforts to promote democratic values and protect human and civic rights. As reported by Amnesty International, the government annuls the right to freedom of expression, there is no independent media – owners and journalist have been arrested. Political critics of the ruling elite are routinely prosecuted and imprisoned. LGBTI people as well as conscience objectors are also targeted by police and arrested as well. Extensive use of torture has also been widely reported. What is more, according to AI, suspicious deaths in custody have not been efficiently investigated. In January, the Center for the Protection of Political Prisoners (CPPP) published an updated list of 161 political prisoners in Azerbaijan. The latest report published by Human Rights Watch (HRW) confirms the permanent persecution and the unfair trials against opposition politicians, intellectuals, human rights activists, independent journalists and minorities. It is widely accepted that authoritarian regimes affect negatively free trade and business. In addition, the large-scale corruption, of which the ruling elite is accused, creates an economic environment that should seriously concern EU. All the above is known to a large number of MEPs. It is for this reason that, on July 4, they called on the country’s authorities to release political prisoners and prisoners of conscience. They also called on the EU to help Azerbaijan develop a strong framework to protect human rights and fundamental freedoms and ensure that it respects the right to freedom of peaceful assembly. However, since Azerbaijan is under pressure to sign the new agreement before the next EU-Eastern Partnership summit in 2019, negotiations must be tough and directed to ensure a considerable reversal of Baku’s actions. The fact that the EU is Azerbaijan’s top trading partner gives us an advantage. But the role of the Caucasian country as a strategic energy partner for the EU cannot predominate during negotiations. Because any new agreement must ensure, on the one hand, the protection of EU’s institutions by Azerbaijan’s lobby attacks. On the other hand, it must ensure respect of civic and human rights in the country. If this is not the case, the ruling elites will be encouraged to continue along the same path. Azerbaijan is the very county which is real partner of EU unlike Armenia that cheats Europe. I think, Azerbaijan should also think deeply. Because we see that though Armenia support Eurasian Union, EP tries to support Armenia anyway. That’s odd.